In Colorado, as in most other states, falling tax receipts have forced our state and and local governments to cut back on public services at the precise moment when their residents and local businesses needed them most. Public banks support Main Street, not Wall Street – by supporting community banks, growing small businesses, creating jobs, and lowering government debt. In 1729, Benjamin Franklin gave credit to the colonial government of Pennsylvania for restoring prosperity by lending money beginning in 1723. Franklin later blamed Britain’s decision in 1764 to prohibit further lending and printing of paper currency by colonial governments as the chief cause of the Revolution because it rapidly caused widespread unemployment and poverty. 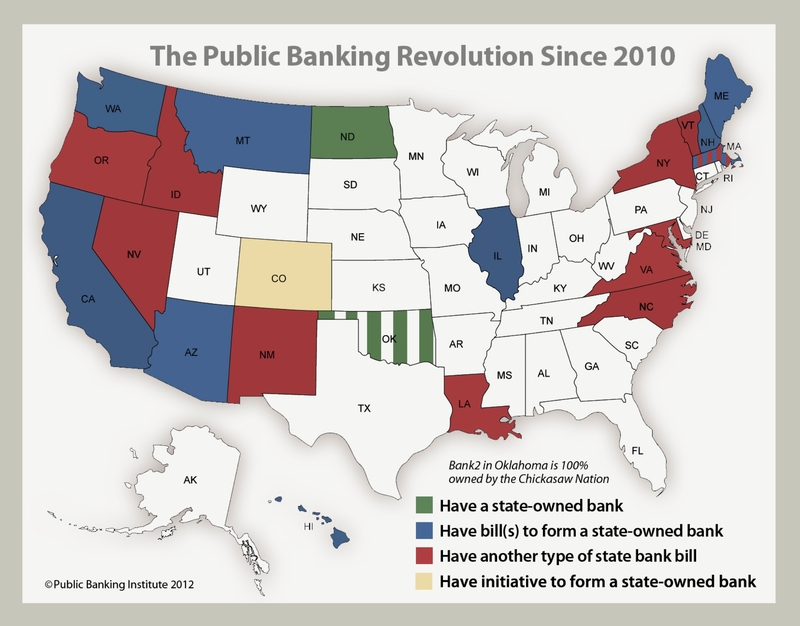 Get updates on public banking efforts in Colorado and how you can help bring our money home!